Twenty-three years ago on April 26, 1986 at 1:23 in the morning, the number four reactor at the nuclear power plant in Chernobyl suffered an unstoppable chain reaction, causing the worst man-made disaster in history. 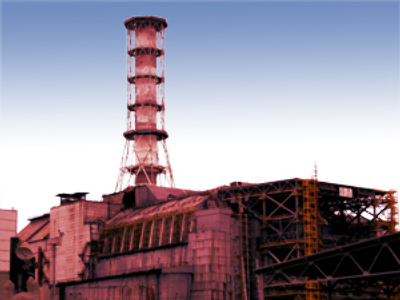 During a low-power test, uranium fuel in the reactor overheated, and melted through protective barriers causing first an explosion which blew open the reactor, then allowed radioactive elements such as plutonium, iodine, strontium, and cesium to spread across Ukraine, Belarus, Russia, and parts of western Europe. The initial explosion caused the immediate death of just two workers at the plant. However, within the first three months after the accident, 28 fireman and clean-up workers died from acute radiation sickness and cardiac arrest. Three miles from the plant lay the city of Pripyat (population 49,369), which was completely evacuated within 36 hours of the accident. During the following months, thousands more were evacuated from surrounding affected areas, totaling around 200 thousand people. The explosion caused the release of over 100 types of radioactive material into the environment, and is considered to be more than 400 times more potent then the atomic bomb dropped on Hiroshima. While most of the elements have a very short half-life, and thus decayed rapidly, there were a few, namely Strontium, Iodine, and Cesium, which have much longer half-lives, and lingered, spreading across great distances. Iodine, which has a half-life of days, is particularly dangerous to the thyroid gland in children, and there have been at least 1800 documented cases of thyroid cancer in children who were affected by the blast. Longer lasting elements like Strontium, and Cesium have half-lives of 29 and 30 years respectively, and are linked to leukemia and liver cancers. These elements spread the farthest. The lack of a sarcophagus covering the reactor greatly exacerbated the problem. Immediately following the accident, one was hastily built. 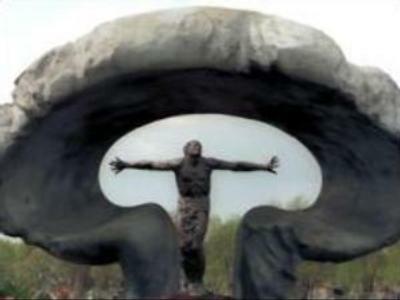 However, it is not durable or strong, and was built on a compromised structure. Major improvement work was carried out on the structure in 1998 and 1999, but the structure, which keeps more than 200 tons of radioactive material beneath from escaping into the air, has recently sprung some leaks. A new containment structure is scheduled to be completed by 2011, as well as other radioactive treatment plants to handle the waste from the Chernobyl site. The most contaminated areas include a 150 thousand square kilometer zone stretching from Ukraine into Belarus and Russia. An ‘exclusion zone’ has been created in the 30 kilometers around the plant, and is today virtually uninhabited. However, the radioactive fallout did not stop there. The radioactive material was carried by wind to many western European countries, and was picked up by Finland and Sweden. The ‘flawed operators explanation’ published in 1986 basically places the blame on the operators of the power plant. During the test, most of the safety features were turned off, including the Emergency Core Cooling System. Had it been on, it would have been able to contain a lot of the steam which was responsible for causing the explosion. 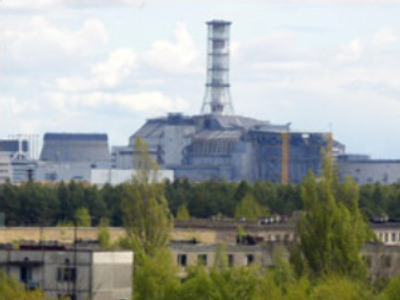 Grigory Medvedev, who was deputy director of the main industrial department in the Ministry of Energy, wrote a book, ‘The Truth about Chernobyl,' in which he blamed the chief engineer of the 4th reactor, N.M. Fomin. "Only a man with no understanding of the processes of neutron physics inside a nuclear reactor could possibly have switched off the emergency core cooling system, which could in the critical seconds have prevented the blast by sharply reducing steam content in the core." The ‘flawed design explanation’ was published in 1991, and attributed the cause of the accident to the reactor design, and particularly to the design of the control rods, which slow down a reaction the hotter it gets. Click the picture to see the author’s photos on his personal blog from the dead city of Pripyat. Also, the reactor was constructed without any containment vessel to hold in radioactive material in case of an accident. The lack of this important feature allowed the radioactive elements to freely disperse into the environment. In 1993, the IAEA came out with its own conclusion, placing most of the fault on the design of the reactor. Today, it is possible to visit the area, including the exclusion zone, as radiation levels are low enough so that people can spend short periods of time in the region. Some people, especially older ones, have chosen to move back into the area. 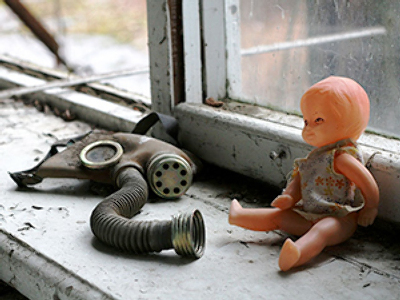 Currently, there are around ten thousand people inhabiting the surrounding Chernobyl area, although Pripyat remains a virtual ghost-town.